I’m like 8 in this picture and Jenna is probably 5. We were at my Nana’s condo during a family vacation down South. She and I were killing time waiting to go to my Uncle’s photography studio for a family portrait. And we killed time by me reading to her. 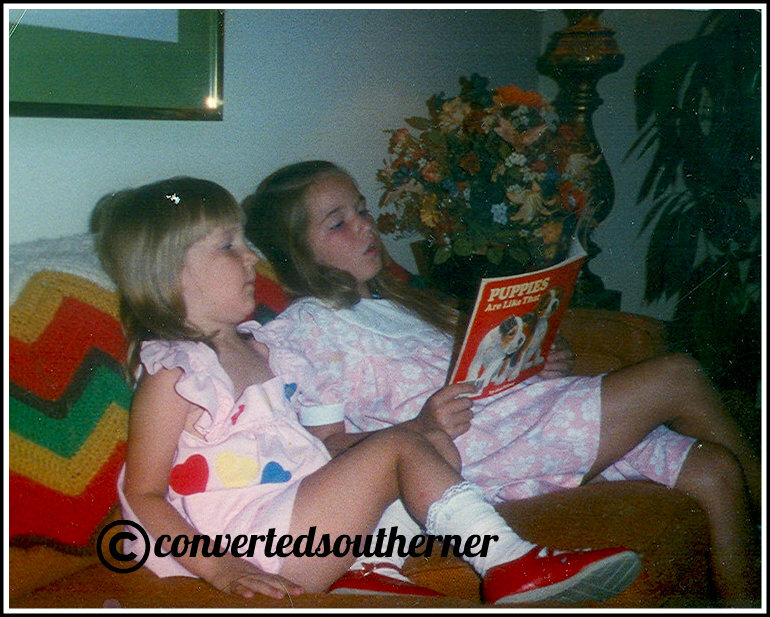 And yep, we are both color coordinating in our little kiddie 1980’s dresses!